According to the World Energy Outlook 2016 published by the International Energy Agency, the traditional energy champions like coal, oil will be replaced by new superheroes i.e. natural gas, wind and solar in the next 25 years. The Energy sector is already witnessing a great transformation with renewables’ becoming an important source of energy and more so competing for side by side with mainstream energy sources. Solar energy has undoubtedly gained a superb momentum, owing to technological advances and business feasibility supported by government policies and initiatives. The energy sector has comprised mainly of traditional Energy champions i.e. Oil, Coal and other allied energy sources. However, the sector has seen dramatic changes which force the big and small players to implement continuous improvement in operations, be ahead of competitors in terms of forecasting, pricing, respond proactively to ever stringent and increasing regulatory demands. In this sector, renewables especially solar have come as a disruptive opportunity as companies strive to have a balanced and sustainable energy mix. The Utility sector has also seen its share of challenges be it in terms of increased reliability requirements, having efficiencies in billing cycles, requiring real-time data to monitor the health of utility network. Another important aspect for Utility sector has been the efficient handling of multiple sources of energy (renewable and conventional). If the smart grid was a market-driven requirement, it was enabled by IT. There is simply a direct need for all connected devices and plants in the energy and utility sector to be smart i.e. be responsive, be able to provide and accept data and commands in real time and last but not the least be the first source of information helping eventually in decision making. This sector has realized the importance of efficient and timely information flow “From Plant to Boardroom” and IT has served as a harbinger for this transformation. When we make the devices smart i.e. they are able to sense operational parameters (sensors), able to connect to the internet and send important operational data and parameters and also receive commands, the whole landscape becomes much agiler and “smart“. SAP solutions in the energy and utilities sector have provided a comprehensive coverage of business processes. SAP Industry solution (IS) in energy utilities is focussed on providing the sector-specific business processes which in turn integrate with core ERP processes of finance, sales, logistics etc. SAP S4/HANA is the current generation of digital enterprise ready ERP framework of solutions. With technologies like in-memory computing and real-time analytics, SAP S4/HANA makes it possible to embrace concepts like the Internet of Things (IoT), smart grid implementation and smart metering. SAP S4/HANA real-time analytics helps derive meaningful insights from operational data and there helps in better energy planning and forecasting as well as better energy accounting. All in all sustainable energy is achieved by SAP S4/HANA solutions. SAP S4/HANA platform offers solutions in utility planning and analytics such as SAP Energy Analysis and SAP Cloud Platform which help the key decision makers with real-time and accurate information right from the horse’s mouth i.e. the individual devices in the digital utility network. Imagine a solar energy farm supplying energy to the grid or a solar energy unit in a consumer premises. On all sides (the consumer, the generator, the grid) one has to face the problem of intermittency i.e. Periods of peak and wane as well as varying power generation capabilities. By making the solar power generation devices „smart“ i.e. Capable of data transfer, we enable the grid to be a carrier of energy as well as information. SAP S4/HANA over cloud provides a suitable platform for data collection, cleaning and storage. SAP S4/HANA data with in-memory computing capabilities allow for a real-time update and fast data retrieval by reporting processes. Analytics and dashboard capabilities over the cloud allow the decision makers to check the health and the generation statistics in real time enabling quick and effective decision making. SAP S/4HANA ERP with its processes across procurement, manufacturing, services, sales, finance, and HR come into play with real-time operational and device data integration. In short, we leverage the bespoke ERP with a digital advantage. 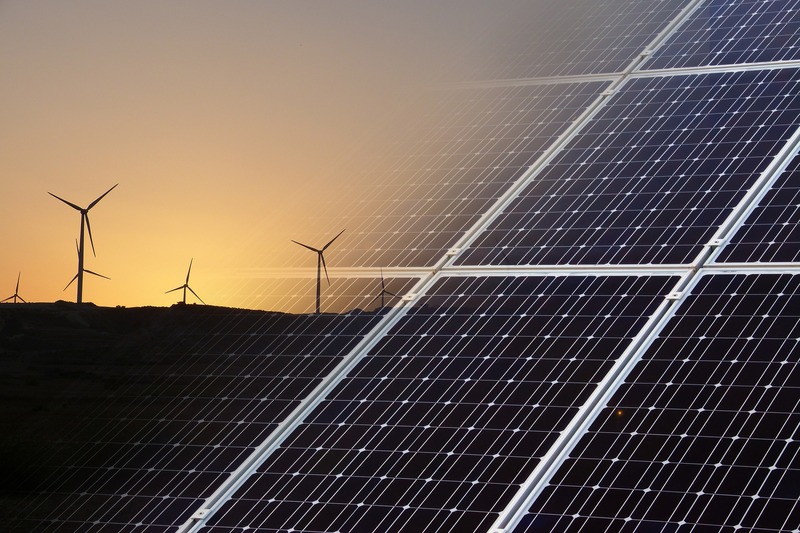 Is IT or SAP S/4HANA the Cure all for Sustainable Energy? Definitely, IT is not the cure for all our efficiency and responsive issues. However, in this digital age, creating business value needs sound management and IT systems. Sustainable energy (solar, wind) require even more emphasis on sound IT systems because of the inherent intermittent nature of this energy which needs to be utilized efficiently. SAP S/4HANA offers reasonable IT solutions to address business issues in the Digital Energy Network and offers tools and connectivity for a digital transformation. Can our data acquisition, data cleansing, timeliness of information be enhanced and costs reduced when compare to as-Is scenario and processes? What is the cost saving achieved by integration of key business activities and integration of data across various functions? Is it beneficial to have enterprise view on health of the network at various levels of detail i.e. from top management dashboard to operational monitoring health checks? The future of renewables is here. The new superheroes especially solar, a steadily increasing source of harnessable energy needs to be managed also keeping in mind the requirements of the digital age. Sustainable energy demands sustainable IT. The future-ready solution suite from SAP S/4HANA is a promising example. Although the future of solar is bright, it makes sense to conduct basic business feasibility exercises and support this energy by a much stronger Digital ready sustainable IT solution. Janie Henry works as a freelance content writer. Well-acquainted with different writing styles and niches, she regularly writes for Sompor – A LED manufacturing company. The passionate wordsmith also takes a keen interest in startup stories and loves to binge watch her favorite series on Netflix!